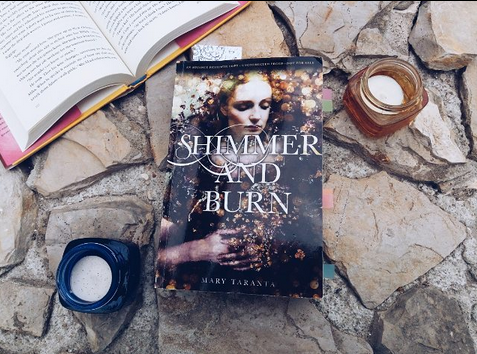 Shimmer and Burn was sent to me by Mary Taranta in exchange of a honest review. For that reason, I am here, today, to do that! This review refers to the ARC of this novel. In Shimmer and Burn we meet Faris, a strong, independent and hardworking girl who wants to protect her sister, Cadance. In order to be happy and free, Faris want to escape form the kingdom in which she dwells: Brindaigel. However, it is believed that the surrounding territories are not safe once they have been consumed by a big plague. For this reason, the king forbids the departure of his kingdom. When Faris' plan to escape fails and her sister is arrested, Faris want, more than everything to free her sister. For that reason, Faris makes a deal with the power-hungry Princess Bryn who wants to steal the throne from her father. Faris will live difficult and cruel times with magic to the mixture. Although I really liked the author's writing, this one can become a bit complex, sometimes. Another point that I feel I need to highlight is the fact that this is not a fairy tale; We can see desperation, sadness and darkness. I really enjoyed how the magic was approached in a different and creative way. Not as something perfect and incredible but as something that, like everything else in life, can be dark and dangerous. 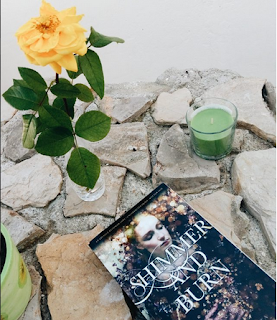 Although I found this book a little complex and dull in the middle, I really feel that it has potential and, because of the way it ended, I can't wait to read the next one! My final rating for this book is 3.7 out of 5. Não conheço o livro. Embora não seja o meu género de leitura e sendo um pouco complexo, parece ter pontos de interesse.